The largest foreign holder of U.S. treasuries responds to the S&P downgrading by calling for decreases in U.S. military outlays and social spending. China called on the United States to "cure its addiction to debts" and "learn to live within its means" in a searing commentary published Saturday by the official New China News Agency in response to Standard & Poor's historic downgrading of the U.S. government's credit rating a day earlier. China, the largest foreign holder of U.S. federal debt, blamed "short-sighted political wrangling in Washington" for creating the current financial morass that now threatens to undermine the global economy. "If no substantial cuts were made to the U.S. gigantic military expenditure and bloated social welfare costs, the downgrade would prove to be only a prelude to more devastating credit rating cuts, which will further roil the global financial markets all along the way," it continued. China has regularly voiced concern about its dollar investments, most recently Wednesday when the governor of the country's central bank urged the U.S. to avoid a default and cut its deficit. Standard & Poor's downgrading was the first in U.S. history and echoed downgrades issued by a little-known Chinese credit rating agency that has been dismissed by some China watchers as politically motivated. The Dagong Global Credit Rating Co. twice lowered its rating for the U.S., most recently Wednesday when it said defects in the U.S. political structure stood in the way of solving the country's debt problems. "Dagong Global, a fledgling Chinese rating agency, degraded the U.S. treasury bonds late last year, yet its move was met then with a sense of arrogance and cynicism from some Western commentators" the New China News Agency's Saturday editorial said. 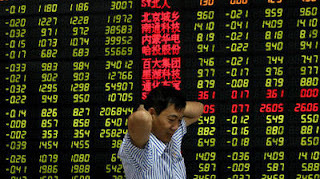 "Now S&P has proved what its Chinese counterpart has done is nothing but telling the global investors the ugly truth." Jin Canrong, dean of international relations at China's Renmin University, said Beijing is especially fearful of another global recession because leaders have exhausted stimulus measures to blunt the effects of the 2008 financial crisis. 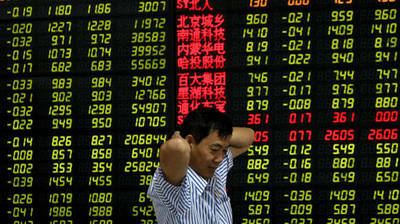 "A second recession would be a nightmare for China," Jin said. Massive credit expansion since 2008 has led to the country's highest rate of inflation in three years -- fueling a national property bubble and potentially sowing the seeds of social instability. China's heavy reliance on U.S. debt and the dollar is largely self-induced because of its decision to shun market forces and control the value of its currency to keep Chinese exports competitively cheap. China's central bank must jettison trillions of incoming foreign exchange to ensure the yuan remains low. For the most part, U.S. treasuries represent the only destination large enough to accommodate China's holdings. Officials have periodically pledged to diversify China's reserves, but few alternatives exist.